This top floor beach front apartment overlooks picturesque Limeslade Bay with uninterrupted panoramic views to Swansea and Devon. This is in easy walking distance of Mumbles Pier, galleries and local restaurants. The coastal path that leads to Langland Bay and then Caswell Bay is quite literally on your doorstep. Chatcoombe is ideally located in an attractive residential area, with a great view of Mumbles and Swansea Bay. Our position is perfect for visiting the Gower coastline, Mumbles, Swansea City or the Maritime Quarter. This accommodation is just a few minutes walk away from the University, Singleton Hospital, Sketty Hall, the National Pool. It is just a 10 minute drive to Mumbles or the City Centre. The Coast House, Mumbles Promenade. The Coast House has one of the best locations in Mumbles. 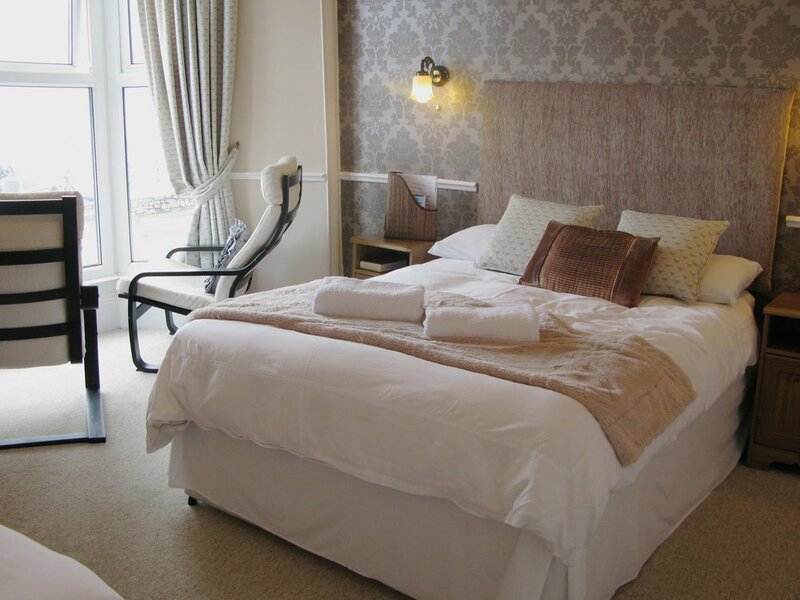 This guest house overlooks the promenade at Knab Rock and is surrounded by bars, restaurants and cafe's. It is only a 10 minute walk to the centre of Mumbles and the new Oyster Wharf development. Mumbles Pier is approximately 800 metres from your door step. Home from Home Holiday Cottages are a long-established and well-trusted, family run holiday cottage agency that were established in the village of Mumbles in 1972. Home from Home have an enthusiastic team who are happy to help with any queries that you might have regarding your booking or any future holiday that you might be planning. The Home from Home website has a selection of over 260 holiday cottages of differing budgets, size and location so whatever your requirements there should be a property that ticks your boxes. The website includes dog friendly cottages.